Everyone makes mistakes -- so a University of Nebraska-Lincoln psychologist set out to determine how the human brain responds to the errors of its ways. "The reason to focus on errors is that they're a really pervasive part of our cognition," said Maital Neta, assistant professor of psychology. "They happen in everything that we do, even the simplest tasks. So if you want to get a sense for how something is structured in the brain -- regardless of a specific mood or a specific task -- then errors are a really good way to do it." Neta and several colleagues recently published a study showing that even basic errors can trigger neural activity across a much broader swath of the brain than previously thought. The authors performed functional MRI scans of study participants as they completed 12 diverse tasks that included recognizing parts of speech and mentally rotating three-dimensional shapes to identify matching pairs. The team found that 41 regions of the brain showed substantial differences in activity following incorrect vs. correct answers on a majority of the tasks. "Many people in the field of neuroscience have said that there's one primary region of the brain that responds to errors," Neta said. "One of the most interesting aspects of this paper is how it shows that even though that region may be really important, it's not the only one." 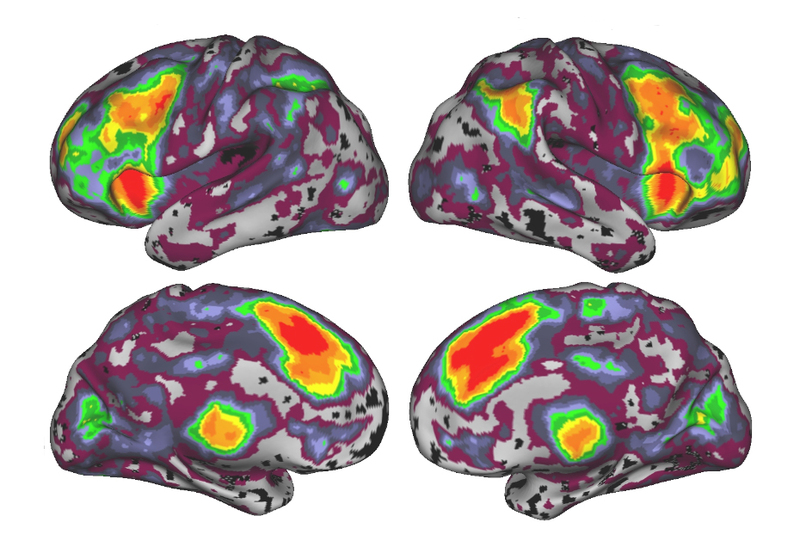 The fMRI scans also illustrated that the 41 regions are distributed across several networks of the brain that are otherwise distinguished by differing functions, Neta said. In addition to analyzing the spatial aspects of error-related activity, the team measured the speed and duration of each region's activation. The researchers subsequently characterized three profiles of neural response: fast, prolonged and delayed. According to Neta, the study revealed that all but one of the brain's networks feature just a single response profile. Neta's team further discovered that regions of the brain with the same error-related responses also exhibit similar activation patterns while at rest. Even regions residing in separate networks and sides of the brain seem to spontaneously function together when not occupied with an error or task, she said. "This came out much more clearly than I would have ever expected," Neta said. "It makes a lot of intuitive sense -- it's just that most results don't come out quite so perfectly. "So there's something about this wiring or connectivity that works not only when you're at rest, but also when you're suddenly thrown into a situation that (might produce) an error. There's still a lot we don't know about the brain." Though Neta's team focused on documenting and cataloging error-related activity, she noted that other researchers could use the study as a starting point for delving into specific linkages between regions and error-related reactions. "Identifying all these regions is just sort of the first step," Neta said. "People whose research focuses on specifics of error processing could now look at different tasks individually and determine what these regions might be doing." The study appeared in the Jan. 7 edition of The Journal of Neuroscience. 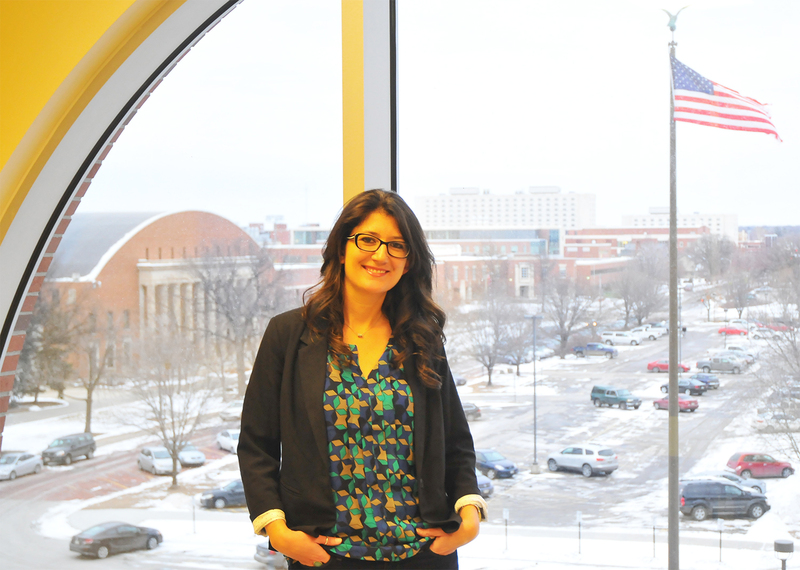 Neta co-authored the paper with colleagues from Washington University in St. Louis and the Center of Excellence for Research on Returning War Veterans in Waco, Texas.